Brian Bonin, born November 28, 1973, in St. Paul, Minnesota. Brian is a former NHL ice hockey player. 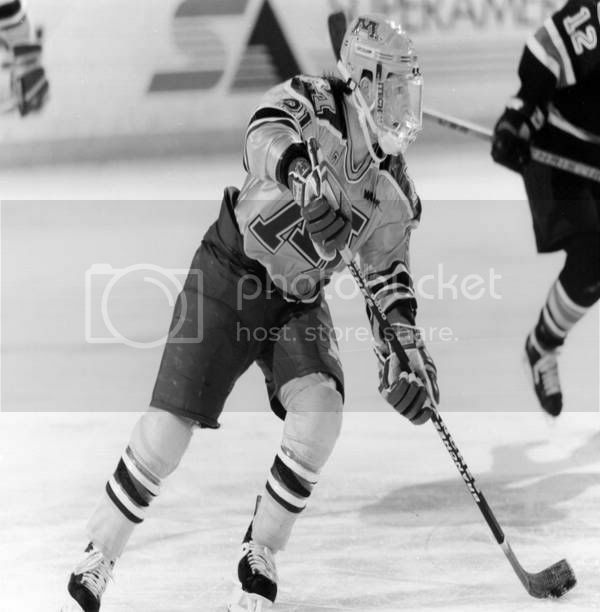 In 1992 he was drafted by the Pittsburgh Penguins in the ninth round, 211th overall. 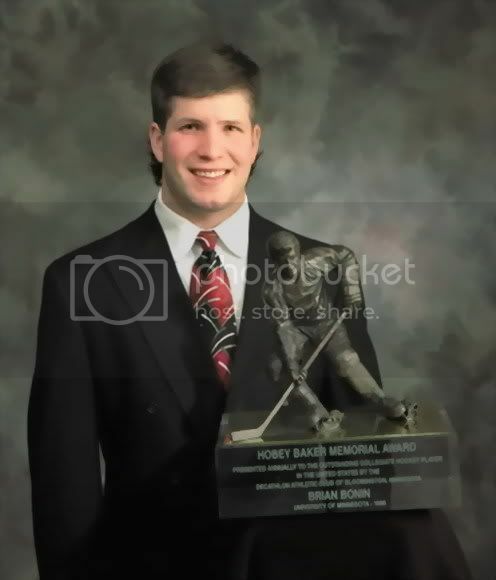 Brian was named "Minnesota Mr. Hockey" in 1992 as selected by a group of NHL scouts and Division1 coaches for his play at White Bear Lake High School. Following his successful High school stay, Brian dfulfilled his dream of someday wearing the maroon and gold when he was recruited by Doug Woog--head coach of the Gophers Hockey team-- to play at the U of M. With the Maroon and Gold, Brian won the Hobey Baker Award, for the most outstanding collegiate hockey player in his senior season of 1995-1996. In his senior year, he was the nation's leading scorer during the regular season with 81 points in 42 games. Overall in 4 years with the Gophers, Brian scored 100 goals, and 116 helpers for 216 total points. Brians High School, and Gophers Hockey stay he is best known for today since his NHL career was cut short. 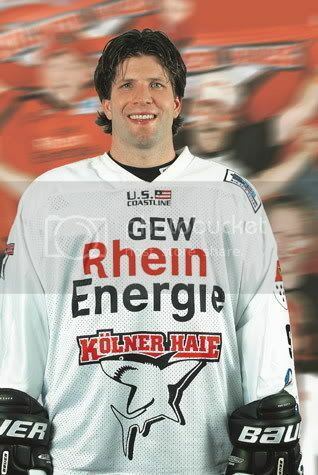 Bonin's professional debut was with the IHL's Cleveland Lumberjacks in the 1996-97 season. 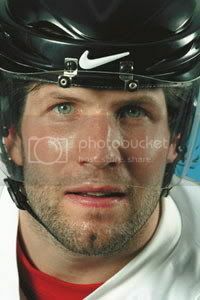 He then joined the AHL's Syracuse Crunch for the 1997-98 season, tallying 69 points in 67 games. Bonin made his NHL debut with the Penguins in the 1998-99 season, appearing in five regular-season and three playoff games where Brian was scoreless. The rest of the season was split between the IHL's Kansas City Blades and the AHL's Adirondack Red Wings. After another full season with the Syracuse Crunch and another with the Cleveland Lumberjacks, Bonin joined his hometown Minnesota Wild in the 2000-01 season. Wild fans were thrilled to see Brian back in the "State-of-Hockey" playing in a Wild sweater, but his stay didn't last long, seven NHL games Brian couldn't crack the into the NHL line-up, and was later signed to Langnau of the Swiss league. In his 12 career NHL games, Bonin was held off the scoresheet. To date, Brian has no further NHL experience. In addition to the accolades he collected on the ice, Bonin also excelled in the classroom. The chemistry major was a three-time WCHA All-Academic honoree. After playing professional hockey, Bonin returned to Minnesota and is working as a Home Mortgage consultant for Edina Realty Mortgage. Brian can be seen at the State High School Hockey Tournament every March where he does color commentary for Channel 45 during the tournament.